Next to Willapa Bay oysters, the succulent Pacific razor clam is the Long Beach Peninsula’s favorite and most abundant locally sourced food, with 6 million-plus harvested in 2014. 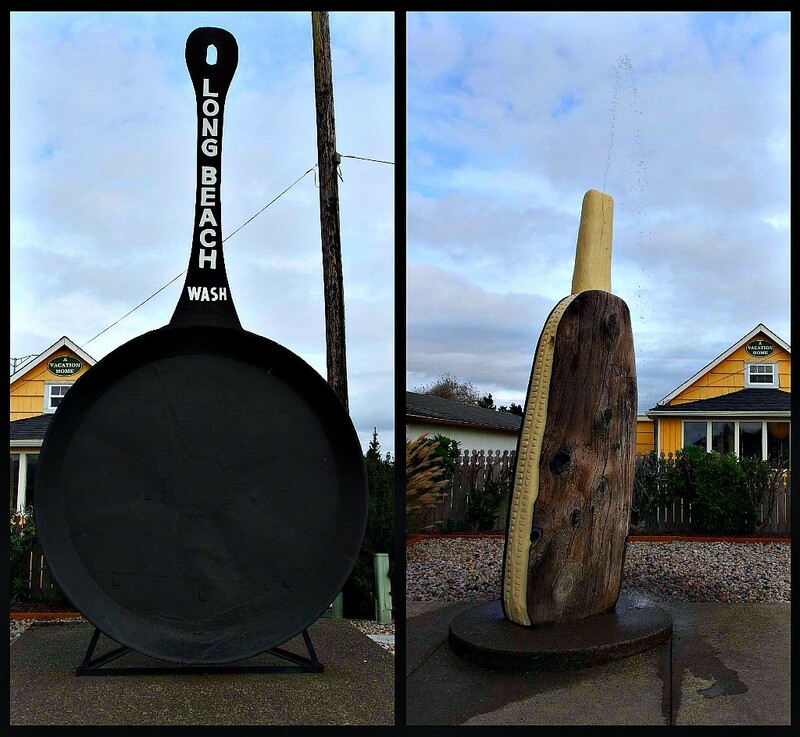 It’s obvious that the town is as serious about its most celebrated seafood (as its preferred method of preparation) from the minute you view the enormous 500-pound cast-iron pan and 10-foot squirting razor clam that stand side-by-side to welcome you to the heart of the city. First, check the official Long Beach schedule for approved clam-dig dates. Times vary according to the tide table and testing by the Washington Department of Fish and Wildlife for population abundance and to ensure the clams are safe to eat (read: no red tide or harmful algal bloom that can toxify shellfish). The best time for digging typically occurs one or two hours before low tide. No digging is allowed at any beach before noon. Once you have a dig date planned, you’ll need to procure the proper licensing and equipment. All clam-diggers 15 years of age or older must have an applicable fishing license to harvest razor clams on any beach. Licenses, ranging from a three-day razor clam license for $8.60 (shown below) to an annual combination fishing license, are available for purchase on WDFW’s website and from licensed vendors statewide. Finally, you’ll need the proper equipment: A “clam gun” and a netted bag (or other waterproof receptacle) to hold your catch. Clam guns are long, cylindrical tubes of aluminum, stainless steel or PVC plastic—no bullets required! Clam guns start at $15 for the plastic variety to upwards of $100 for the custom-made. Some clam-diggers use shovels, but the guns are simplest to use for beginners. I’m partial to the metal clam guns, as they’re lighter and provide less resistance when digging in the wet sand. The best one we tried by far was, of course, a nearly fifty-year-old family heirloom. Proudly owned by Long Beach CVB’s Executive Director Andi Day (and still used today), her family’s custom-made clam gun was a lightweight stainless steel with wooden handles “so your hands don’t get cold” that just seemed to cut more easily into the hard-packed, wet sand. Headlamps or lanterns to light your way during night-time or pre-dawn digs are also highly recommended. 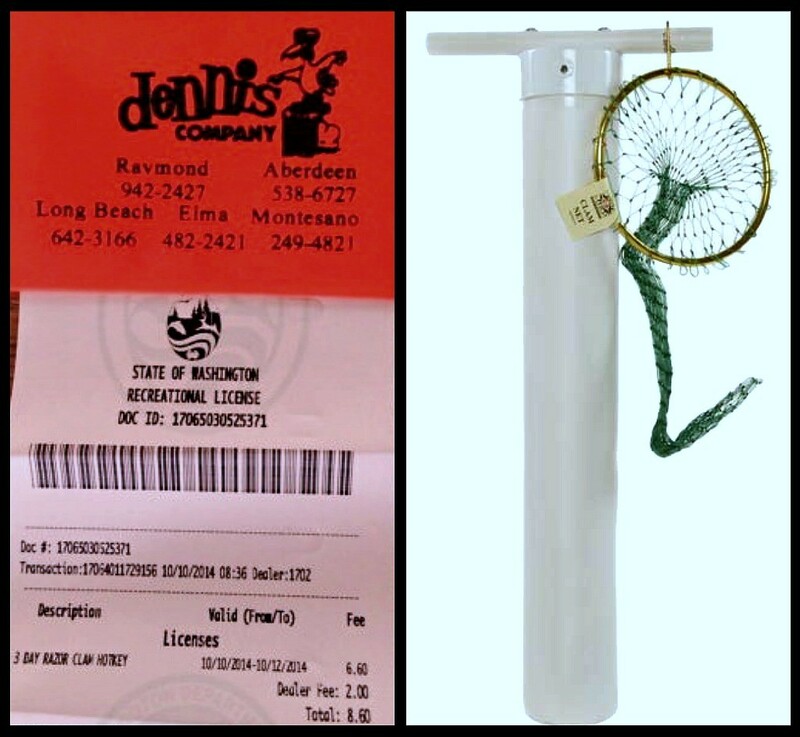 For our own clam dig, we did a one-stop-shop purchase of our license and supplies at Dennis Company in Long Beach. It should be noted that, under state law, clam-diggers are required to keep the first 15 clams they dig up, even if they are small. 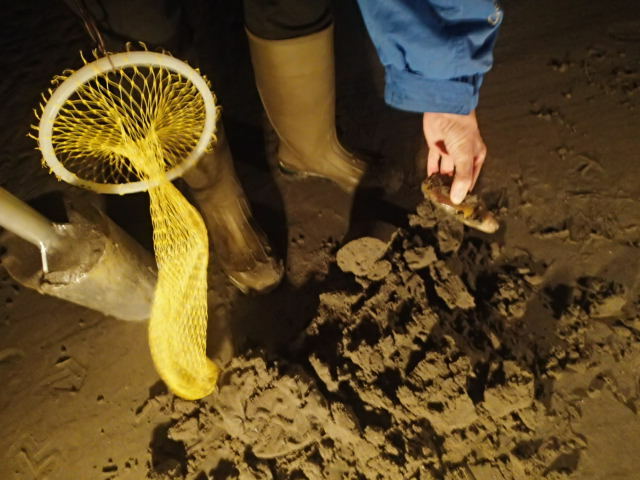 In addition, each digger’s clams must be kept in a separate container or net; however, you are permitted to share clam-digging equipment out on the beach. Once you’ve collected all of the necessary equipment, it’s time to dig. 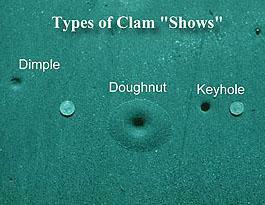 Begin by searching the beach for telltale “clam shows” that resemble a dimple or doughnut in the sand (illustrated above). None in sight? Often, you can get the clams to “show” by stomping around on the sand in the general area you’re wanting to dig. A larger-sized dimple usually means a larger clam, but not always. Try to find the largest dimple showing in the sand, then place your gun slightly off-center over the “show” with the extra room on the ocean side. Rapidly twist the gun back-and-forth straight down into the sand about six to ten inches, then place your thumb over the circular suction hole, and pull up all the sand contained within the gun, dumping the contents to the side of the freshly dug hole. Check the sand pile and the hole for the razor clam hidden within. The digging process may need to be repeated up to three times to effectively pull up the clam, but be quick! Razor clams are notoriously speedy diggers. Once they detect that you’re vying for them, they’ll immediately start digging down farther in the sand to escape. Once you’ve found a clam, brush off the excess sand and place in your clam net, until you’ve caught your daily limit of 15. 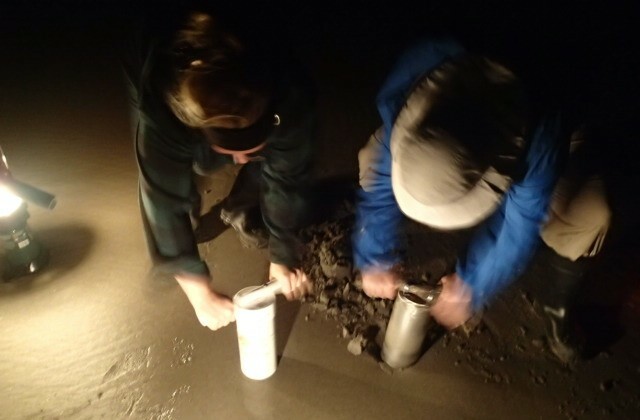 On my first night-time clam dig, we were able to secure our daily limit within an hour. Luckily, we were accompanied by some local experts, like Andi, who’ve been digging razor clams for years and have the technique down pat. Watching them helped to get us quickly up to speed too. No matter how large the clams you dug were, the law of nature will always dictate that you’ll see enormous “clam shows” on your way back to the car after catching your limit. It never fails! To safely clean and prepare clams for cooking, you can follow these instructions from the WDFW. 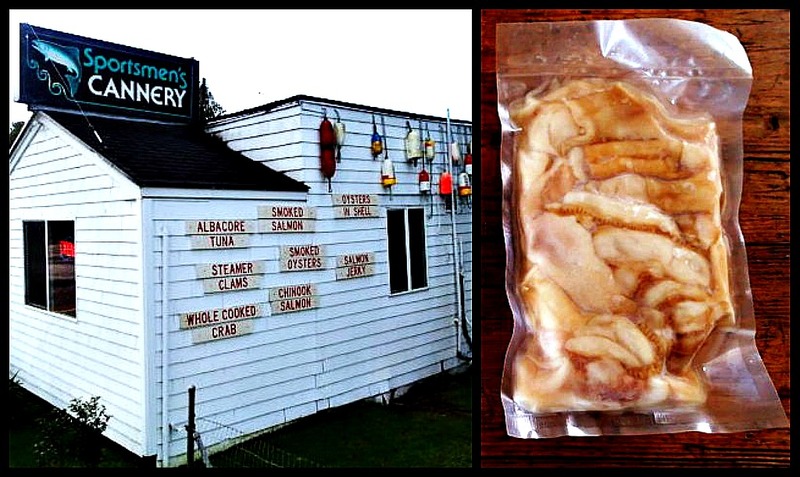 Or, do as I did and drop them off at nearby Sportsmen’s Cannery in Seaview to have them professionally cleaned and vacuum-packed for easy transport home in your ice-filled cooler, just $9 for 15 clams. Because our own fresh-caught clams were at the cannery for processing, I celebrated our successful clam dig at The Depot Restaurant by ordering Chef-Owner Michael Lalewicz’s delectable Clams Bucatini: Italian Bucatini Pasta (the delicious pasta noodle with a hole in the center to hold more saucy deliciousness) with chopped razor clams and whole, wild Willapa Bay steamer clams sautéed with white wine, lemon juice, garlic and chili flakes (pictured below) paired with a glass of Depot Red. 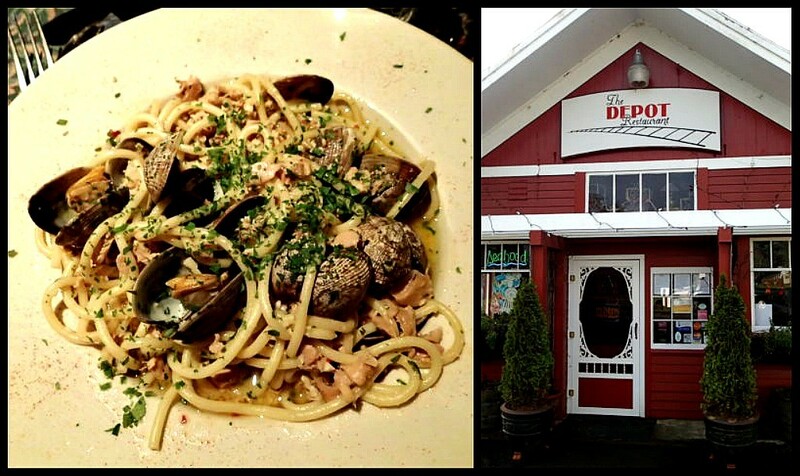 It should be noted that I’ve never before had a dish where the seafood-to-pasta ratio was as plentiful. So many delicious clams on one plate! Our arms were tired, but our bellies were full of the warm, savory clams and, through the experience, we’d certainly gained a new appreciation for clam-diggers everywhere. Wondering how to best prepare your own fresh razor clams at home? Most locals will tell you that they’re at their best simply pan-fried as fritters. After trying this easy Breaded and Fried Razor Clams recipe, I have to agree. Note: Don’t skip the buttermilk, it really makes for a fantastic marinade and tenderizer. Want something a little less deep-fried? Check out this page of top razor clam recipes from the WDFW, which has instructions on how to make everything from sumptuous chowders and dips to oven-broiled clams. Or, you can simply sauté them in a little olive oil, garlic, salt and pepper. Done right, these succulent clams taste surprisingly like tender calamari. Want to make a weekend of it? The Long Beach Razor Clam Festival offers free digging lessons, a chowder cook-off, music and entertainment, plus will host an instructional demo on the best way to clean razor clams, April 29-30, 2017. Because of the popularity of clam-digging, many of the area hotels also offer clam-digging specials. One of my favorites is the Clam-Digging Package at Adrift Hotel, which includes a clam gun, 3-day license, headlamp, clam net and information packet with recipes and “how to clam dig” instructions for $20. Portobellos to porcinis, I love cooking with mushrooms of all varietals. Best of all, they can be found in abundance in Long Beach—and in the Pacific Northwest, in general—if you know where to look and you’re accompanied by a mycologist or an official field guide to mushrooms that can help to properly identify the edibles from their sometimes lookalike poisonous counterparts. 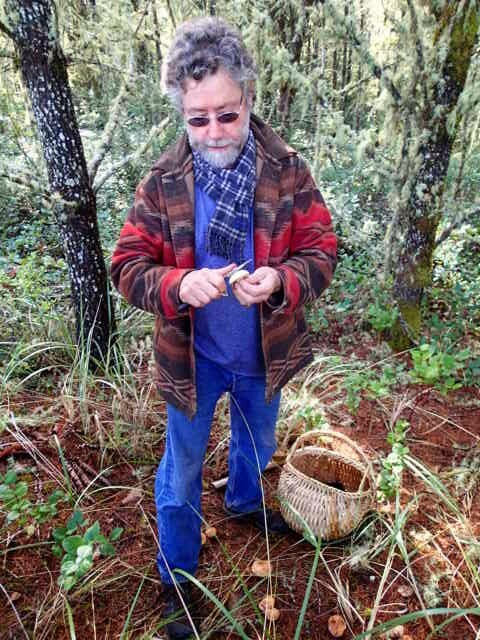 Just don’t ask a local mushroom gatherer where to look for them; their top-secret harvest spots are as closely guarded as those of truffle hunters. 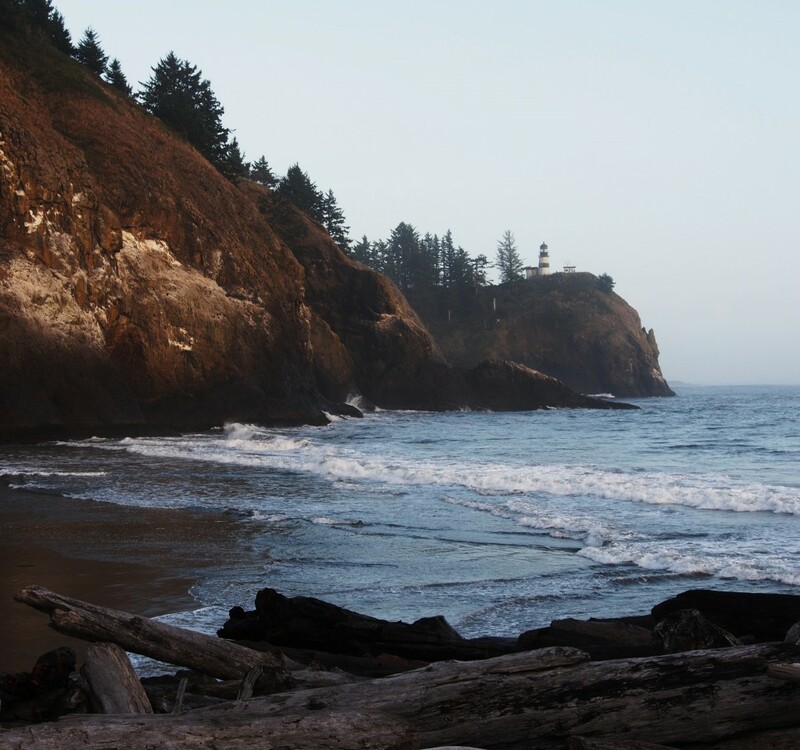 However, just north of Oysterville, Leadbetter Point State Park encompasses approximately five miles of the tip of the peninsula, with woodsy, easily trod trails flanked by spruce and pine trees that extend west and north into Willapa National Wildlife Refuge and is widely recognized as a prime mushroom-hunting area. David Campiche, chef and co-owner of the historic and wonderfully eclectic Shelburne Inn (pictured above), allowed us to accompany him on one of his afternoon mushroom foraging trips. A man of (obviously) many talents, Campiche loves to incorporate wild mushrooms (and other locally sourced foods) into many of the gourmet dishes he serves at the Shelburne, but unlike most, he goes into the woods to harvest his own. 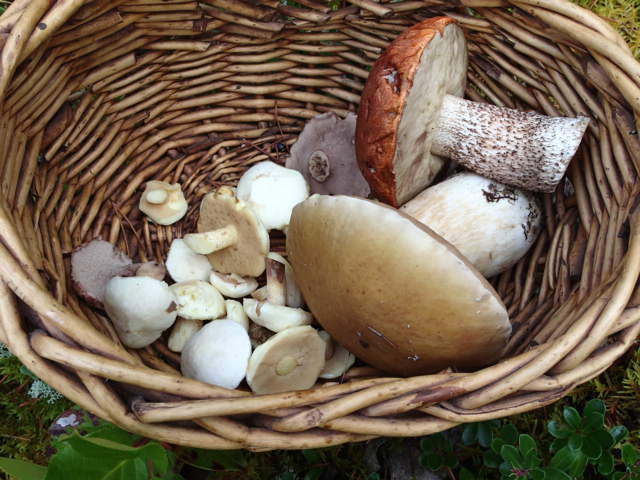 Campiche’s tips for better mushroom hunting: Mushrooms are always more plentiful after a hard rain. 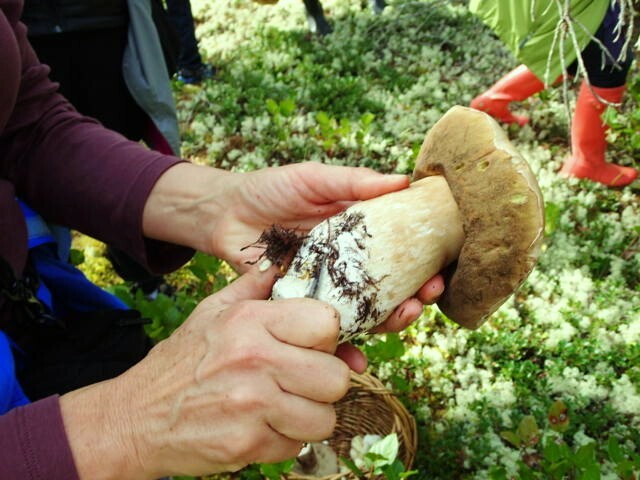 When foraging, bring along a pocket knife to trim the mushrooms from the ground, as well as the dirt and other debris from the mushroom itself, but be sure to leave a portion of the stem behind so that the mushroom spores can re-propagate. A basket or paper bag make the best containers to hold your bounty. During our 90-minute mushroom hunt, we were lucky enough to uncover some incredible Boletes, Chanterelles and Matsutakes, the lion’s share of which were incorporated into a variety of dishes we later enjoyed at the Shelburne, deftly prepared by Campiche, such as the Wild Mushroom Herb Scramble and the Shelburne Beef Wellington with Deliciosa Mushroom Duxelle (pictured above). Campiche and wife/co-proprietor Laurie Andersen share some of their favorite recipes from the Shelburne Inn online, like the Wild Mushroom Frittata, Deliciosa Mushroom Soup or Porcini Steaks with Herb Scrambled Eggs, to inspire your own at-home culinary creations. Don’t trust yourself to properly identify what’s edible? 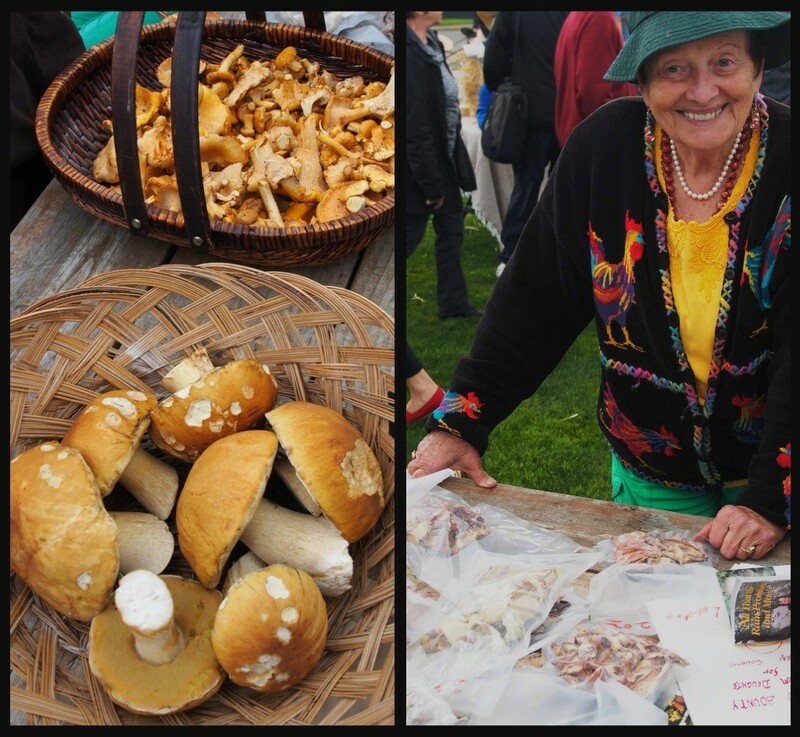 Head over to the Long Beach Farmer’s Market on Fridays, June-October instead to buy some from Veronica Williams (pictured above), a professional mushroom forager who has written two books on the subject, Coastal Bounty: A Book of Recipes and Woodland Bounty: Mushroom Delights for Gatherers & Gourmets. Just be sure to get there early, her fresh-picked mushrooms are usually one of the first things to sell out at the market to local chefs and foodies alike. After a weekend of foraging for and feasting on the delicious bounty of Long Beach Peninsula, what did we learn? 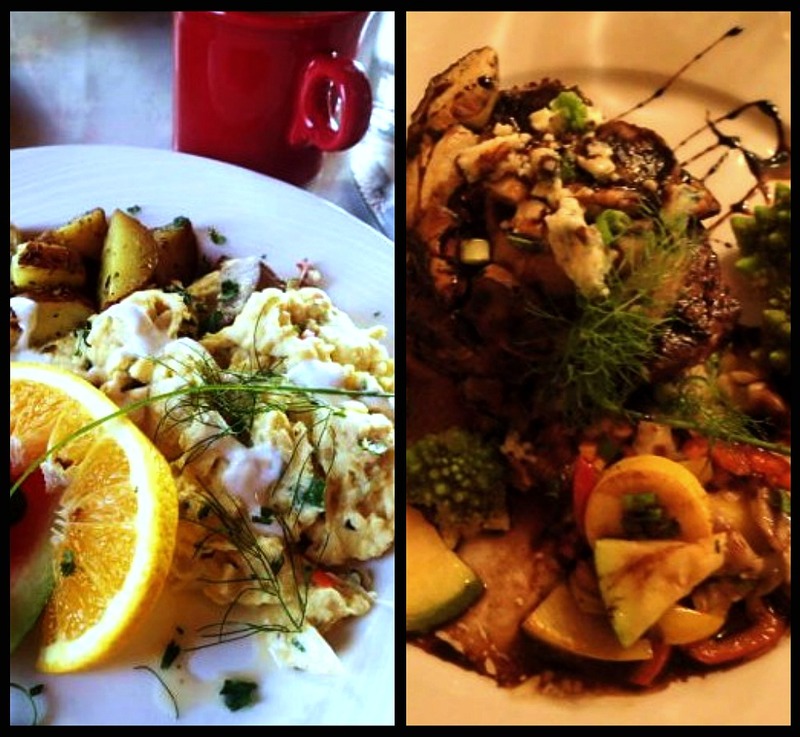 That nothing is more satisfying than a meal you’ve procured yourself. 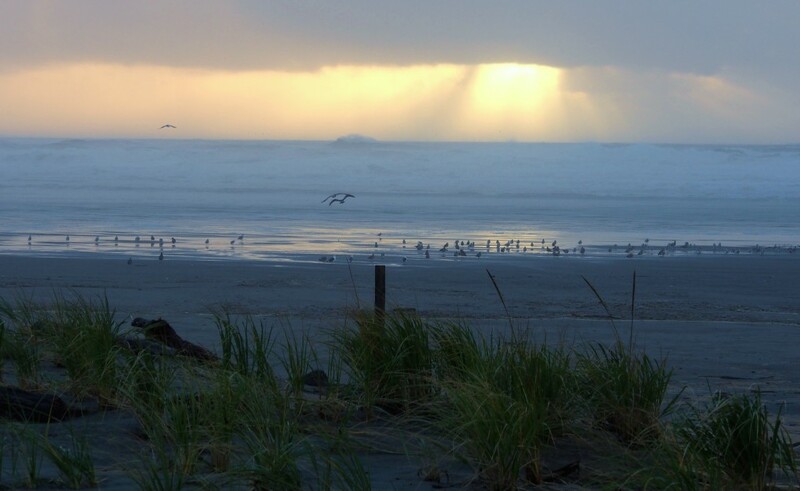 Located less than two hours from Portland, three hours from Seattle, and a mere 15 minutes from Astoria, the Long Beach Peninsula makes for an ideal getaway weekend to the coast. For more information on clamming, as well as year-round events, lodging and other great places to eat, shop and explore, visit the Long Beach Peninsula’s official visitor’s site at funbeach.com. This trip was sponsored, in part, by the Long Beach Peninsula CVB; however, all views herein are my own.